Can Human Sensors Contribute to Improving Search Technology? Information Today fall meetings usually have me in the Enterprise Search Summit sessions but this year KM World was my focus. Social networking, social media and tools are clearly entering the mainstream of the enterprise domain as important means of intra-company communication, as many corporate case presentations revealed. But it was Dave Snowden’s Thursday keynote, Big Data vs. Human Data, which encouraged me because he conveyed a message of how we must synthesize good knowledge management practices out of both human and machine-based information. Set aside 52+ minutes and be prepared to be highly stimulated by his talk . Snowden does the deep thinking and research on these topics; at present, my best option is to try to figure out how to apply concepts that he puts forth to my current work. Having long tried to get enterprises to focus on what people need to do to make search work meaningfully in an organization, instead of a list of technology specifications, I welcome messages like Snowden’s. Martin White called for information specialists for search management roles earlier this year in a CMSWire piece. While it may be a stretch to call for “search specialists” to act as “human sensors,” it does merit consideration. Search specialists have a critical role to play in any enterprise where knowledge assets (content and human expertise), data retrieval and analysis , and understanding user needs must fit cohesively together to deliver a searchable corpus that really works for an organization. This is not typically an assignment for a single IT professional focused on installing software, hardware and network oversight. One of the intangible capital assets defined by a recent start-up, Smarter-Companies, Inc., is human capital. Founder Mary Adams has devised a methodology to be used by a person she calls an Icountant. An Icountant establishes values for intangible capital and optimizing its use. Adam’s method is a new way of thinking about establishing asset value for organizations whose real worth has more to do with people and other intangibles than fixed assets like buildings and equipment. Let’s consider the merit of assigning value to search specialists, those experts who can really make search technology work optimally for any given enterprise. How should we value them? For what competencies will we be assigning jobs to individuals who will own or manage search technology selection, implementation/tuning and administration? Rather than defaulting to outside experts for an evaluation process, installation and basic training for a particular technology, we need internal people who are more astute about characteristics of and human needs of an organization. High value human sensors have deep experience in and knowledge of an enterprise; this knowledge would take the consultant off-the-street months or years to accrue. People with experience as searchers and researchers supporting the knowledge intensive units of a company, with library and information science training in electronic information retrieval methods must be on the front lines of search teams. Knowledge of users, what searchable content is essential across all business units, and what is needed just for special cases is a human attribute that search teams must have. Consider the points in White’s article and the wisdom of placing humans in charge of algorithm-based solutions. What aptitudes and understanding will move the adoption of any technology forward? Then pick the humans with highly tuned sensitivity to what will or will not work for the technology selection and deployment situation at hand. Let them place search technology in the role of augmenting human work instead of making human workers slaves to technology adaptation. 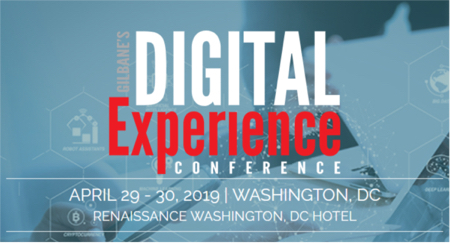 If you are at the Gilbane Conference next week, and want to further this discussion, please look for me and let me know what you think. Session E7 will have a special focus on search, Strategic Imperatives for Enterprise Search to Succeed, a Panel Discussion. I will be moderating.